After a super long 11 hours of driving, we made it into New Orleans! Driving into the French Quarter around 9pm, it seemed like everyone was heading out on the town. We made a last-minute reservation for a room in the historic Hotel Monteleone, which is equipped with possibly the coolest bar I’ve ever glanced into (the Carousel bar), and located conveniently a couple of blocks away from Bourbon Street. 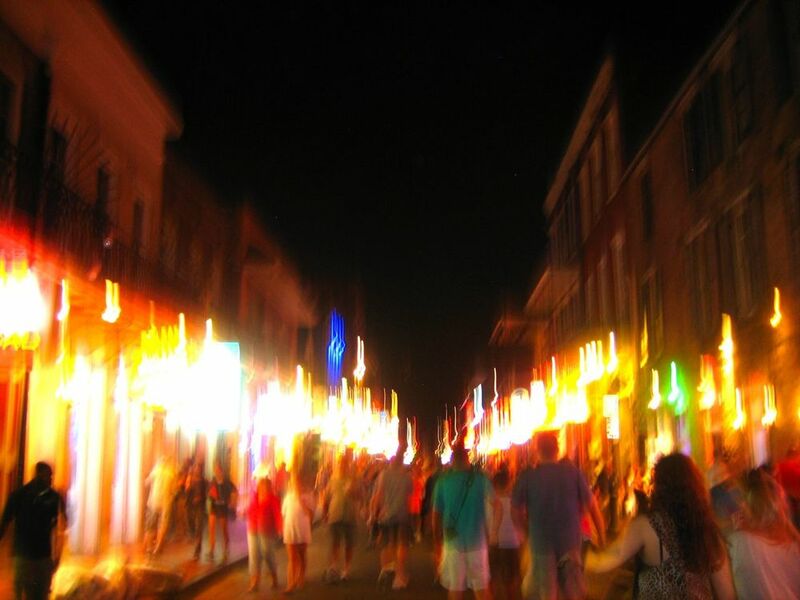 Turns out, Bourbon street wasn’t quite our cup of tea, probably because a). we were starving b). we were exhausted and c). we weren’t drunk. So, despite the half-naked, thong-sporting women shaking their butts in the club doorwary trying to entice us in for a show, we made our way to a nice-looking restaurant called Sylvain (thanks, Yelp) on a quieter street. Such a good decision. Delicious cocktails led into a perfect salad topped with spiced peanuts, bleu cheese, and the kicker, roasted pork belly. Loren's dish: Braised beef cheeks; Kristen's dish: Gulf shrimp with littleneck clams in ham hock broth. We capped off the night with dessert at Cafe du Monde – Loren’s first taste of beignets and chickory coffee. Love. 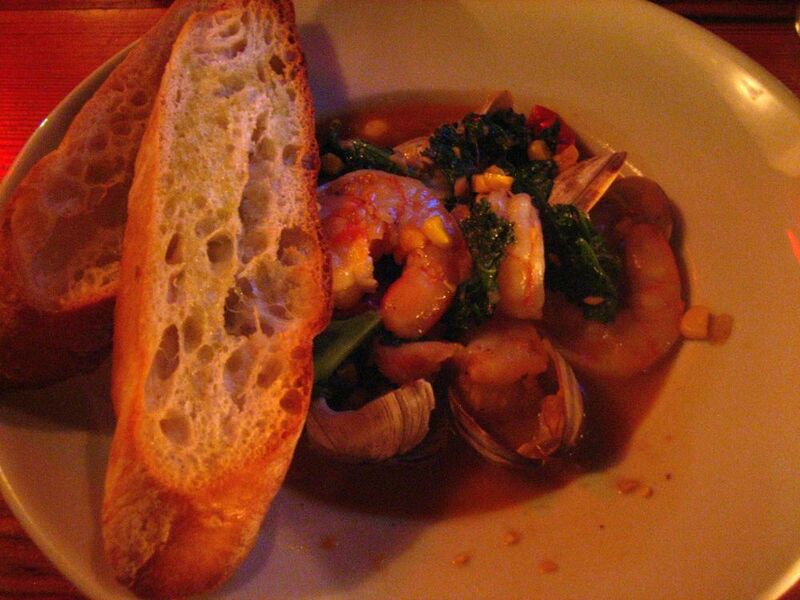 Slyvain's: Gulf shrimp and littleneck clams with ham hock broth. AMAZING. Cafe du Monde for late-night beignets and coffee!